Filming Charles Dickens's unfinished novel presents two distinct, but equally difficult challenges: to capture the style of what is a decidedly atypical tome, and to devise a feasible finale. Sadly, despite having the original Rochester settings at his disposal, Timothy Forder fails to come close on either count, shooting the opening section with stuffy reverence with a stubbornly static camera before launching into a hand-held Hammer pastiche that lacks both imagination and credibility. With his fellow cast members seemingly unable to rouse themselves from their lethargy, Robert Powell's sinister performance takes on an unfortunate pantomimic quality.
" Regarding my recent order with you. 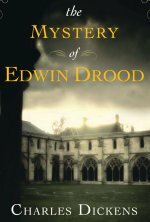 I just want to say thank you so much for the delivery of the amazingly good quality dvd of the film of The Mystery of Edwin Drood. The quality is excellent, for such an old copy, and the delivery was very prompt, quick and efficient. Thank you SO much for making this wonderful film available. Pauline "